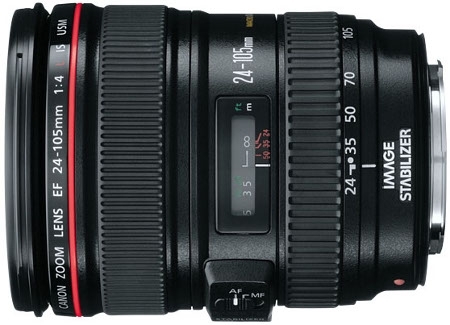 When maneuverability is important and lens quality crucial, the L-series EF 24-105mm f/4L IS USM stands alone as the professional's lightweight standard zoom. 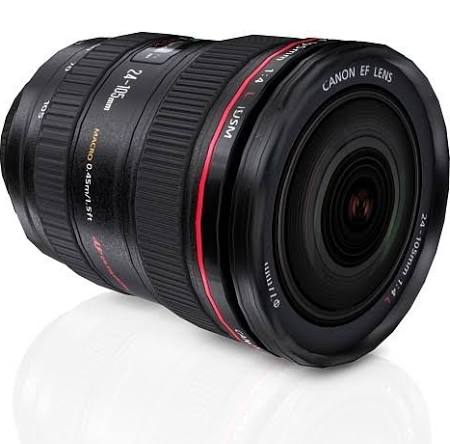 The EF 24-105mm f/4L IS USM incorporates Canon's highest standards of precision optics. The L-series is Canon's flagship professional lens range, combining outstanding image performance and ultimate operability with dust and moisture resistant construction.